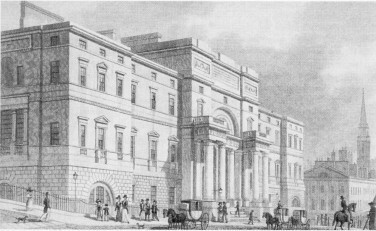 Darwin went to Edinburgh University in October 1825 to study medicine, accompanied by Eras doing his external hospital study. The city was in an uproar over political and religious controversies, and the competitive system where professors were dependent on attracting student fees for income meant that the university was riven with argumentative feuds and conflicts. The monopoly held by established medical professors was challenged by private independent schools, with new ideas of teaching by dissecting corpses giving clandestine trade to bodysnatchers (just shortly before the Burke and Hare scandal). He attended the official university lectures, but complained that most were stupid and boring, and found himself too sensitive to the sight of blood. He was disgusted by the dull and outdated anatomy lectures of professor Alexander Monro tertius, and later regretted his failure to persevere and learn dissection. Munro's lectures included vehement opposition to George Combe's daringly materialist ideas of phrenology. As the exception to the general dullness, the spectacular chemistry lectures of Thomas Charles Hope were greatly enjoyed by the brothers, but they did not join a student society giving hands-on experience. Darwin regularly attended clinical wards in the hospital despite his great distress about some of the cases, but could only bear to attend surgical operations twice, rushing away before they were completed due to his distress at the brutality of surgery before anaesthetics. He was long haunted by the memory, particularly of an operation on a child. The brothers kept each other company, and made extensive use of the library. Darwin's reading included novels and Boswell's Life of Johnson. He had brought natural history books with him, including a copy of A Naturalist's Companion by George Graves, bought in August in anticipation of seeing the seaside, and he borrowed similar books from the library. The brothers went for regular Sunday walks on the shores of the Firth of Forth and Darwin kept a diary recording their finds, which included a sea mouse and a cuttlefish. Darwin wrote home that "I am going to learn to stuff birds, from a blackamoor... he only charges one guinea, for an hour every day for two months". These lessons in taxidermy were with the freed black slave John Edmonstone. Darwin often sat with him to hear tales of the South American rain-forest of Guiana, and later remembered him as "a very pleasant and intelligent man." During his summer holiday Charles read Zoönomia by his grandfather Erasmus Darwin, which his father valued for medical guidance but which also proposed evolution by acquired characteristics. In June he went on a walking tour in North Wales. In his second year Charles became active in student societies for naturalists. The 21-year-old radical demagogue William A. F. Browne and the 19-year-old John Coldstream both proposed Darwin for membership of the Plinian Society on 21 November 1826. John Coldstream came from an evangelical background and shared Darwin's fascination with sea life. Darwin was elected to its Council on 5 December, and at the same meeting Browne presented an attack on Charles Bell's Anatomy and Physiology of Expression (which in 1872 Darwin would target in The Expression of the Emotions in Man and Animals). Darwin became a keen student of Robert Edmund Grant, a Lamarckian anatomist. Grant had cited Erasmus Darwin in his doctoral thesis and shared the evolutionist ideas of Étienne Geoffroy Saint-Hilaire on evolution by acquired characteristics. Charles joined Grant in pioneering investigations of the life cycle of marine invertebrates on the shores of the Firth of Forth. Darwin and Grant collected tiny animals from the rock pools and walked along the rocky shore at Prestonpans where Grant had taken a house. Grant began taking Darwin as a guest to professor Robert Jameson's Wernerian Natural History Society. There Charles saw John James Audubon lecturing on the habits of North American birds. In 1826 Jameson had published an anonymous paper praising "Mr. Lamarck" for explaining how the higher animals had "evolved" from the "simplest worms" – this was the first use of the word "evolved" in a modern sense. Darwin made a discovery new to science when he observed cilia moving the microscopic larvae of a species of the bryzoan Flustra. He rushed to tell Grant, confirming Grant's belief that the larvae of these marine animals were free swimming, but was upset when Grant claimed rights to the work. Darwin also made the discovery that black spores often found in oyster shells were the eggs of a skate leech, and was disappointed when Grant announced both finds to the Wernerian on 24 March 1827 without giving Darwin credit, though Grant in his publication about the leech eggs in the Edinburgh Journal of Science later that year acknowledged "The merit of having first ascertained them to belong to that animal is due to my zealous young friend Mr Charles Darwin of Shrewsbury", the first time Darwin's name appeared in print. Darwin made a presentation of both discoveries to the Plinian Society on 27 March, his first public presentation. Later in the meeting Browne argued that mind and consciousness were simply aspects of brain activity, not "souls" or spiritual entities separate from the body. A furious debate ensued, and later someone deleted all mention of this materialist heresy from the minutes. This was Darwin's first exposure to militant freethought and the storm it stirred up. During their walks Grant expounded his ideas to Darwin, and on one occasion dropped his guard and praised Lamarck's views on evolution. He explained his radical theory of homology, an extension of the idea of unity of plan in vogue in Paris at the time. He argued that all animals had similar organs differing only in complexity and, controversially, that this showed their common descent. Grant had announced to the Wernerian his identification of the pancreas in a pinned-out sea-slug, showing an organ molluscs shared with mammals. He assumed that as the earth cooled, changing conditions drove life towards higher, hotter blooded forms, as shown by a progressive sequence of fossils, and that study of eggs of the simplest creatures would help reveal monads, elementary living particles. While this showed that naturalists could try to "lift the veil that hangs over the origin and progress of the organic world", Darwin was troubled by Grant's atheism and could see that transmutation was far from respectable. Darwin later recalled "I listened in silent astonishment, and as far as I can judge, without any effect on my mind. I had previously read the Zoönomia of my grandfather, in which similar views are maintained, but without producing any effect on me." Shortly afterwards Coldstream graduated and went to Paris for his hospital study, where he suffered a mental breakdown, struggling with "the foul mass of corruption within my own bosom", held captive to his body by "corroding desires" and "lustful imaginations". The doctor's report was that though Coldstream had led "a blameless life", he was "more or less in the dark on the vital question of religion, and was troubled with doubts arising from certain Materialist views, which are, alas!, too common among medical students". Darwin also took the popular natural history course of Professor Robert Jameson, learning about stratigraphic geology. Jameson was a Neptunian geologist who taught that strata had precipitated from a universal ocean: he held debates with chemistry professor Thomas Charles Hope who held that granites had crystallised from molten crust, ideas influenced by the Plutonism of James Hutton who had been Hope's friend. Jameson's view was that "It would be a misfortune if we all had the same way of thinking... Dr, Hope is decidedly opposed to me, and I am opposed to Dr. Hope, and between us we make the subject interesting." Darwin liked Hope and found Jameson a boring speaker. It is not known what he made of Jameson's closing lectures on the "Origin of the Species of Animals". Darwin enjoyed practicals in the Museum and course field trips, learning the sequence of strata. 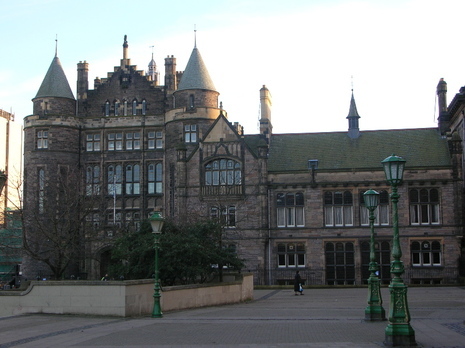 The Museum of Edinburgh University was Jameson's preserve and was then one of the largest in Europe. Darwin assisted and made full use of the collections, spending hours studying, taking notes and stuffing animal specimens. Even medical lectures proved of some use. In January 1826 Darwin had written home complaining of "a long stupid lecture" from Dr. Andrew Duncan secundus about medicine, but the lectures introduced him to Augustin de Candolle's natural system of classification and emphasis on the "war" between competing species. However, he loathed medicine and left in April 1827 without a degree. He toured Scotland, went on to Belfast and Dublin and in May made his first trip to London to visit his sister Caroline. They joined his uncle Josiah Wedgwood II on a trip to France. There Charles fended for himself for a few weeks in Paris with Browne and Coldstream who was recovering having "found joy and peace in believing". Charles rejoined his relations and then returned to his home at Shrewsbury, Shropshire by July. -Eager that Darwin should not "go astray" his father decided that his son will pursue a medical career as he and his grandfather did before him. 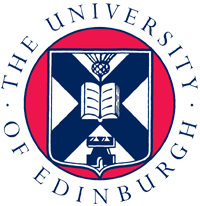 Darwin was sent to the University of Edinburgh in Scotland, known as having one of the best medical schools in all of Europe. Once there he joined his brother, Erasmus, having finished most of his medical studies at Cambridge. They took lodgings together in 11 Lothian Street, right across from the University. Darwin did not particularly take a liking to medical studies - the fear of the sight of blood being a major hindrance, but the primary reason for his aversion appears to be that he found the study of medicine incredibly boring. -His first year at Edinburgh was somewhat uneventful, about the only part of medical school that sparked Darwin's interest were the chemistry lectures given by professor Thomas Hope. -John Edmonstone, a freed black slave from Guyana, South America, taught Darwin taxidermy. The two of them often sat together for conversation, and John would fill Darwin's head with vivid pictures of the tropical rain forests of South America. These pleasant conversations with John may have later inspired Darwin to dream about exploring the tropics. In any event, the taxidermy skills Darwin learned from him were indispensable during his voyage aboard H.M.S. Beagle in 1831. -Darwin finished his first year of medical school and spent the summer hiking in the Welsh hills near his home in Shrewsbury. During this time Darwin read Revd. Gilbert White's, "The Natural History of Selborne" and he came away from this book with a much greater appreciation for wildlife. Darwin started making detailed observations of birds and kept a notebook of their habits. -Darwin began his second year of medical school at Edinburgh, but now he was alone; his brother, Erasmus, having left Edinburgh for London to study anatomy. Darwin spent a lot of time at the university museum, taking notes on the plants and animals on display there. He also joined the Plinian Society during this time and often attended their scientific debates. These debates were perhaps his first exposure to anti-Christian sentiments. The topics of these debates centered upon the merits of scientific investigation stemming from a an examination of natural causes rather than divine intervention. Darwin also attended Professor Robert Jameson's lectures on Geology, and ironically he found himself dreadfully bored with the subject, and vowed never to read or study geology again. -Robert Grant, a Scottish zoologist, became a very close friend of Darwin. They would often go out on long walks together at the Firth of Forth, an estuary just north of Edinburgh, discussing marine life and collecting specimens. On these walks Grant filled Darwin's head with evolutionary ideas, especially those of Lamarck, whom Grant admired a great deal. -Darwin gave his first scientific speech at a meeting of the Plinian Society. The subject was his discovery that the larva of sea-mats can swim, and that the tiny black specks inside old oyster shells were skate leech eggs. Not the most earth shattering discovery, but it was a start for Darwin. - April 1827 Darwin quit medical school for good.